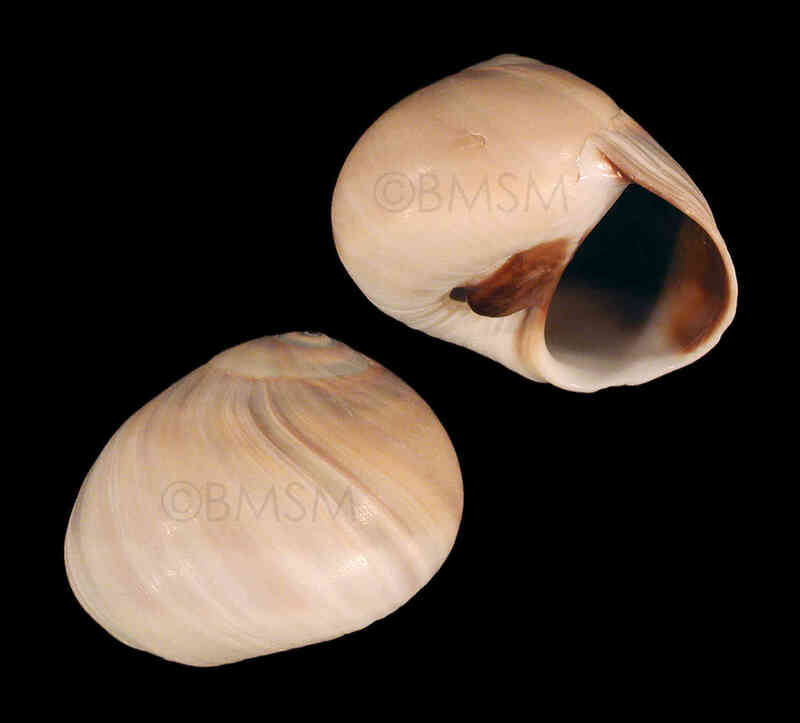 Shell size to 80 mm; shell globose with four to five solid whorls. Spire low, with apex not elevated, to high. Umbilicus almost always covered by purple-brown callus. Operculum horny. Color grayish to dirty-white. 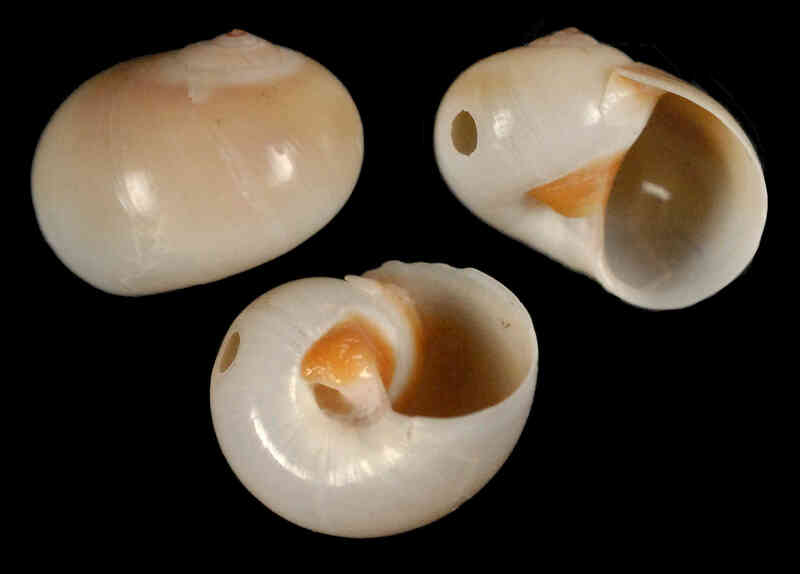 The additional shell illustrated is a juvenile collected by Susan J. Hewitt on Gulf Side City Park in December 2011.